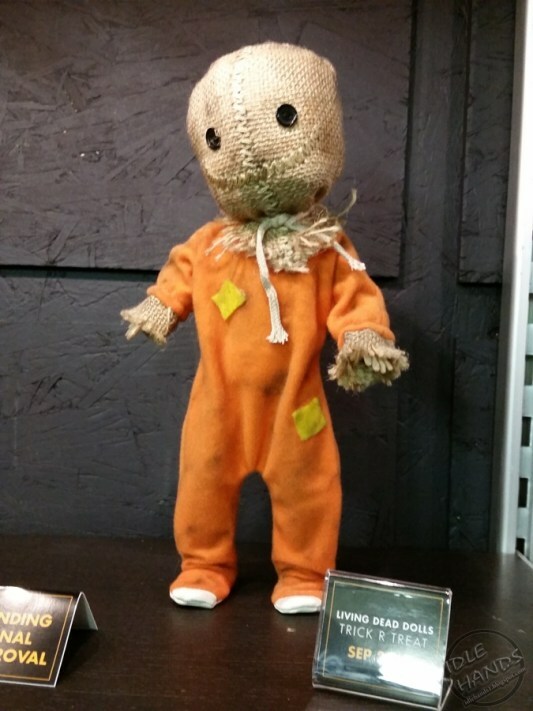 Just before the New York Toy Fair began last week, Mezco unveiled a number of new horror icons set to join their popular Living Dead Dolls lineup later this year, including Sam from the modern Halloween classic Trick ‘r Treat. In addition to Sam (pictured above via IdleHands), Mezco has also announced ucpoming Living Dead Dolls for Pinhead from Hellraiser, Chucky from Child’s Play, Tiffany from Bride of Chucky, Ash from Evil Dead 2, The Wolfman, and Beetlejuice. You can see more at the official site here.